Read blog entries from Lord Elgin Hotel employees and fans to learn more about this unique hotel and all the best of Ottawa. Picture an Urban city-center. What comes to mind? Jungles of concrete foliage? Commotion, penetrating even the most expensive of Bose noise-cancelling headphones? Maybe the smell of raw sewage, overpowering the comforting aroma of your freshly brewed Bridgehead coffee? You aren’t wrong. City landscapes, for the most part, are an awful reminder of how acclimated we’ve become with living within the eye-sore metropolitans we often do. Though, for a few lucky Canadians, roughly one-million to be exact, we’ve escaped the hideous reality of urban-city-dwelling and established ourselves a beloved slice of paradise. Walkways littered with friendly, joy-filled faces, natural beauties abundantly introduced within city limits, dynamic festivals, compellingly uniting Ottawans and visitors alike – the list could go on endlessly. Topping the above-mentioned list, is Ottawa’s deep-rooted, remarkably tasteful cultural backdrop. Our inviting fusion of museums and arts centres, galleries and exhibitions, and tasteful touches of Canadian Heritage, allow for the brightest of minds to flourish. With spring approaching, at speeds equivalent to a leather football spiraling away from Henry Buress’ extended arm, or even a puck, propelled from the pallet of Daniel Alfredsson’s carbon fiber hockey stick – the times of enjoying Beavertails, skating on the Rideau Canal, or frolicking through Winterlude’s magical festivities until the early hours of the night must give way. However, the discomfort of Ottawa’s infamous midsummer climate allows for a lively tourist-oriented schedule. 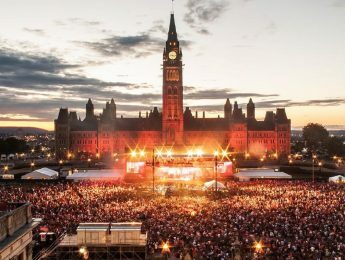 RBC’s Bluesfest, TD Ottawa Jazz Fest, the Canadian Tulip Festival, Hope Volleyball Tournament, and Beaus Oktoberfest are only a fraction of what our charismatic city has to offer – let’s not forget about celebrating Canada’s birthday in the capital. Living within the nation’s capital brings about an upbeat, almost peppy appreciation for even the most ordinary day-to-day developments. I guess you could call us Ottawans, pioneers of urban city dwelling. As an ‘independent’ hotel, packages are our way of partnering with our tourism partners and community to create wonderful creative ideas to make an Ottawa visit more attractive. 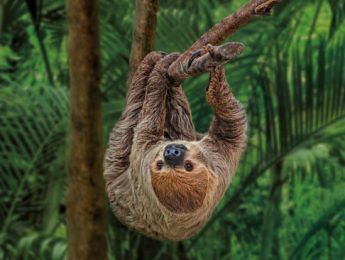 Right now, we are featuring our March Break Package which includes an amazing exhibit at the Canadian Museum of Nature called Survival of the Slowest and another very popular exhibit called Butterfies take Flight. We love promoting our partners as much as we can.  We are blessed in Ottawa with so many incredible museums and attractions. I would say the Lord Elgin is more accurately an ‘interdependent’ hotel than an ‘independent’ hotel. The common definition of ‘independent’ is an adjective that describes something or someone as free from outside control; not depending on another’s authority or not depending on another for livelihood or subsistence. When we look at this definition, we are anything but independent, for we do depend heavily on others for our livelihood and subsistence. In reality, we can be described as an ‘interdependent’ hotel or inter-connected hotel, for what sets up apart from the brands, is not our independence, but actually our connectedness and reliance on each other (teams and colleagues), on our neighbors, our tourism partners and our sister hotels (in our ownership). We leverage each other’s strength, knowledge and best practices to be all we can. We do not have the big brand to market us, or send the business our way, or negotiate on our behalf. We are forced to be more resourceful and innovative to create our success and compete with the big brands. We build packages and partnership with museums, attractions, festivals and other tourism partners. Sharing best practices and knowledge, we are stronger together than apart. I am so very proud of what we have built here at the LE, our strong team spirit and ties to those in our community. I would not have it any other way! !